The Samsung 970 EVO Plus is engineered to deliver efficient and reliable storage performance that surpasses previous generation SSDs. Using 3-bit V-NAND technology, as well as an upgraded firmware and SSD storage controller, the Samsung 970 EVO Plus beats other brands in its niche when it comes to speed, storage capacity, durability, and pricing. It features 500GB of storage and a host of features that give it excellent value for your money. Sequential read and write speeds clock at 3,500 MB/s and 3,300 MB/s, respectively. Random read and write access for 4KB at Queue Depth 32 meanwhile top at 600,000 IOPS and 550,000 IOPS. At Queue Depth 1 random read speed maximises at 19,000 IOPS and random write speed goes up to 60,000 IOPS. 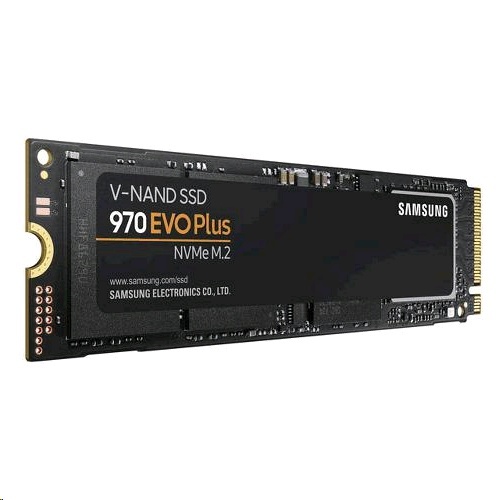 The 21B Samsung 970 EVO Plus SSD comes in a compact M.2 (2280) form factor and allows effortless installation in any desktop PC or notebook outfitted with a PCIe Gen 3.0 x4 interface. Use it in place of older generation SSDs and experience better computer performance.